Let me start out by saying that I love avocado and gucamole. I’ll eat it with a spoon, plop it on just about anything, and hashtag the living daylights out of #whereistheavocado emoji… but seriously though, where is it? Living in Dallas and being surrounded by Tex Mex, guacamole is a Tex Mex staple and hard to avoid. When I went nightshade free to help manage my Hashimoto’s disease symptoms, and having every single nightshade come up tomato red on my IgG tests, I counted out guacamole. How would I do without the spice? How could I not top it with pico? What would it even go with if not corn chips? It took me some time to find something with the right amount of kick that wasn’t spice based, but I’ve finally found a super simple autoimmune protocol guacamole to top my Tex Mex inspired dishes with. The hardest thing to replicate being nightshade free is the spice. I just can’t make my food spicy, nor can I add garlic. That’s why the lime is the real lifesaver here as it adds that zesty, but AIP kick to the guacamole that’s missing compared to the traditional guacamole with something like jalapeño. I went all green here for the dish that I was having at the time and for this specific picture, but don’t be afraid of onion either! It’s a great way to add some crunch. I just really love the mild, creamy and simple texture! Use this nightshade free guacamole as a dip for plantain chips, a topping on taco salads, or as I’ll feature soon, the perfect addition to an AIP burrito bowl! 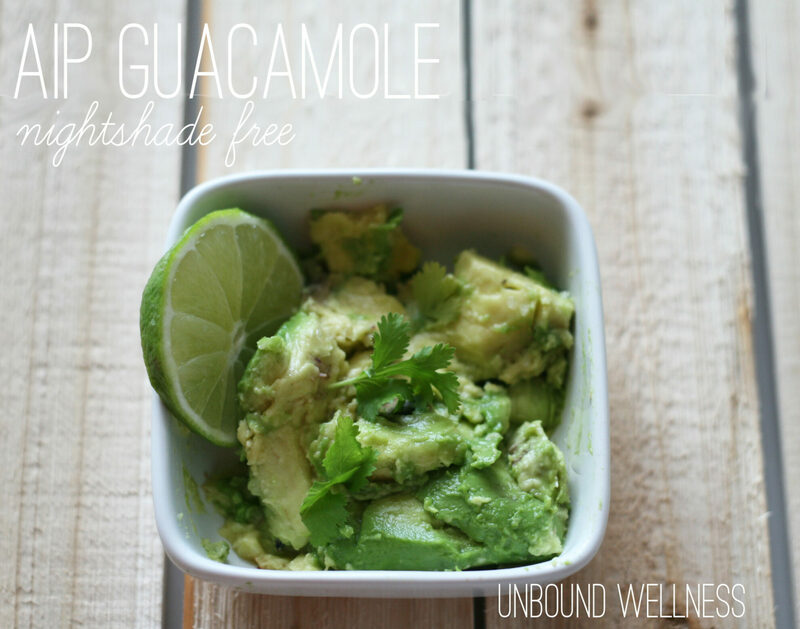 I hope you enjoy this simple, easy AIP guacamole! 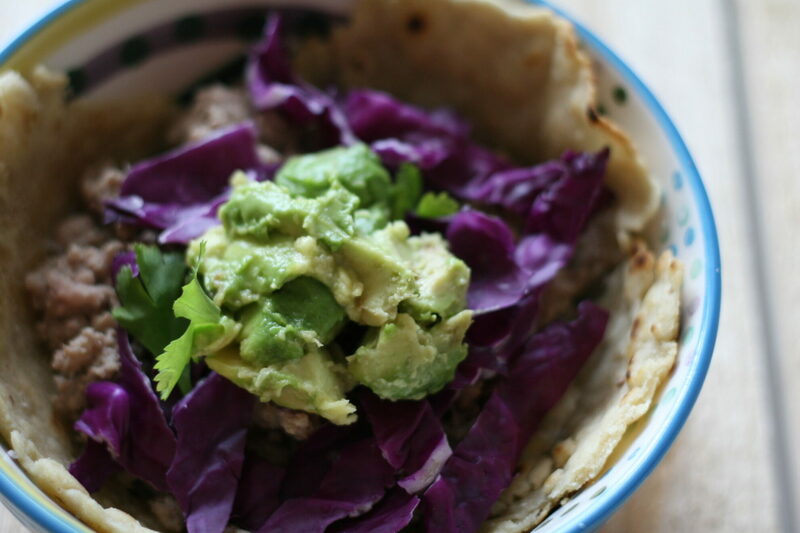 Stay tuned as I’ll be sharing the complimentary burrito bowl recipe soon! What’s your favorite way to use guacamole? I love guac! I do enjoy pico in my guac and sometimes I even get crazy (http://www.howsweeteats.com/2015/03/caramelized-pineapple-bacon-and-goat-cheese-guacamole/). But sometimes mashed up avocado with salt and lime is everything I need! I’ve never made guacamole before. Sounds easy enough! 🙂 Thanks for sharing it at Savoring Saturdays, Michelle! Have never made guacamole before – made it tonight and it’s fantastic! Thanks! Super easy. Ate it with plantain chips! So glad you like it! Thanks, Farah! !